Find out how our corporate wellness practices bring health, wellness, and happiness to our team. At Tractive, we’re not only animal lovers. We’re passionate about our employees too. We take pride in the fact that with our corporate wellness practices we’ve cultivated a culture which supports health and wellbeing. This is inclusive for every employee – from intern to CEO. That is why we’re proud to share these 7 corporate wellness practices which help us to bring health, wellness, and happiness to everyday life at Tractive. At Tractive, we take employee wellbeing seriously. Therefore we have implemented the following practices. It’s never too late to adopt one of these in your organization. Or come work with us at Tractive! So what do our “paw”some team members enjoy daily to support health and wellbeing? When you need a refreshing pick-me-up, a piece of fresh fruit might be the answer. Full of vitamins, minerals, electrolytes, and antioxidants, fruit provides the good stuff that other office snacks simply can’t. We provide our employees different range of fruits so they can use it as snacks, in smoothies or desert. 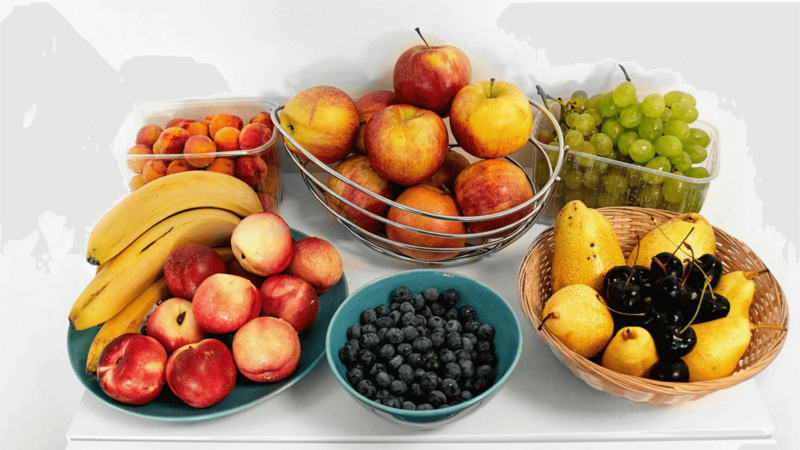 Increased fruit intake has been linked to lower body weight and a decreased risk of obesity-related illness. That endless bowl of office fruit may not be such a bad idea after all. If you ever visit the Tractive office, you may begin to notice something everywhere (besides our famous collection of dog statues). Plants may seem like a subtle way to promote wellbeing, but they offer physical and psychological health benefits including stress reduction. Besides a bottomless fruit bowl and green atmosphere, Tractive provides employees with the opportunity to work via a standing desk. We also make sure each employee is equipped with a comfortable and ergonomic working space that takes into consideration the height of the computer screen and quality of the office chair, among other things. Read here to know more about our office and how it looks like. Moreover, we also try to make our team aware of possible back problems when crouching and being hunched over their computers. For example we organized a training with an occupational therapist who gave use some useful tips. Easy to implement in our daily work life it should enable each and everyone of us to prevent back problems. Are you a runner, or better yet, a slunner (aka slow runner)? Does your employer support this healthy habit? Luckily, the team at Tractive does! 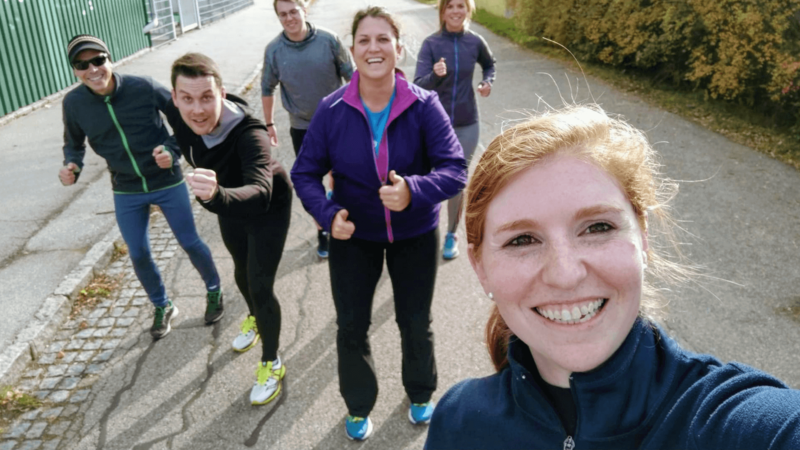 Our weekly slunning events are so popular and fun, they are sure to go down in Tractive history. 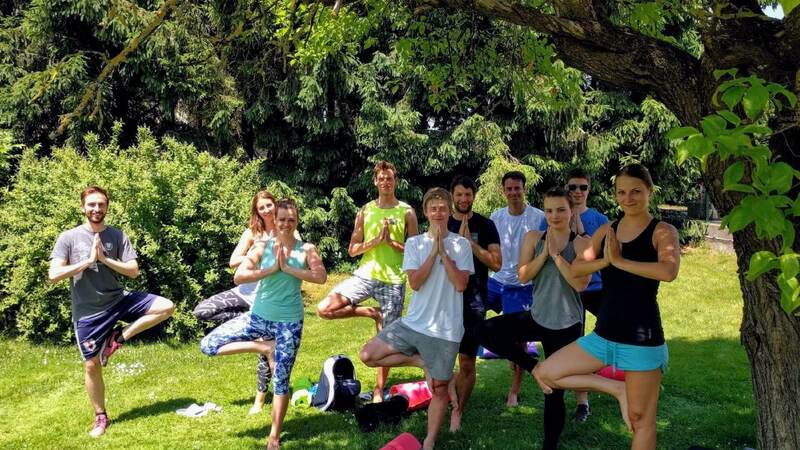 After a challenging run, why not enjoy a relaxing yoga session? Tractive makes this possible with free regular yoga courses offered by an experienced teacher. By stepping away from their desks to experience this unique wellness practice, our Tractive yogis literally grow stronger together while tapping into their inner gurus. Speaking of gurus, one of our newest corporate wellness initiatives is the practice of meditation. Like all of our wellness offers, participation is optional and interested employees can learn how to utilize ancient meditation techniques to bring more balance, peace, and concentration to their workday. One of the most powerful things we can do to encourage wellbeing is spending meaningful time together. 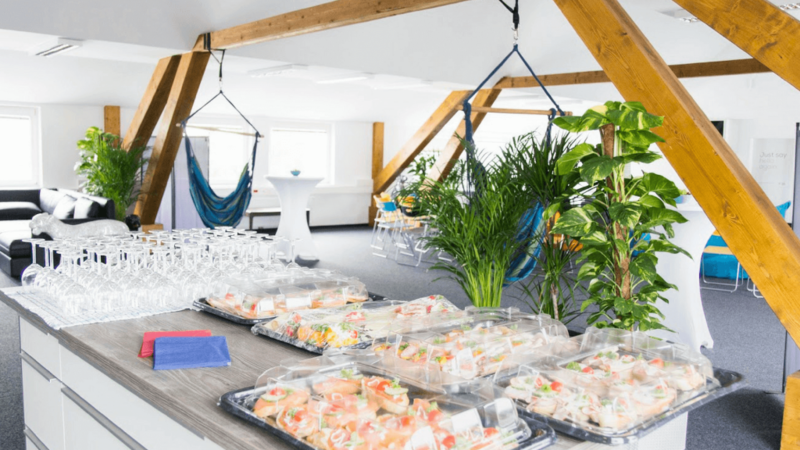 That is why there are regularly scheduled team social events in our Tractive calendar. Whether it is a bowling party or company trip to Mallorca, we will always find an opportunity to celebrate together! Want to join our team and benefit from our corporate wellness practices?